Mobile phones don’t look drastically different than they did in 2007. Foldable phones will shape 2019, and they may change that. But when the iPhone launched, it completely changed the market. It took successful devices by major players Blackberry, Motorola, and Nokia and rendered them obsolete. Nothing since has had such a massive impact on cellphone design. More than a decade into this mobile phone shift, everything has changed. By drastically increasing what could be done with a device, Apple opened up a whole new market to consumers. And eager adoption is exactly what happened: In 2018, Pew Research Center found that 95 percent of Americans had mobile phones, with 77 percent having smartphones. Another industry is at this exact same point: wearables. What can be done with them is far greater than what’s being done now. In a decade, we’ll look back at popular items like FitBits and wonder how we ever used them, just like we do with flip phones. Google Glass already looks like a strange first attempt. Smartwatches have improved, but no game-changing tech has been introduced to push the phone into obsolescence. Where will the innovation come from to make wearables an inescapable part of daily life? Sports performance and workplace safety are possible, but my bet’s on healthcare. Andrew Ronchi was a physiotherapist in Australia before becoming the founder and CEO of wearable tech company dorsaVi. “What we do as health professionals could be improved with more accurate and objective data to guide the advice we provide. I looked for solutions, but I couldn’t find one,” said Ronchi. “There really seemed to be a gap in the market for a wearable that could provide this accurate movement data to better guide and inform treatment of patients and eliminate the guesswork,” he explained. Knowing the number of steps you walk or your average heart rate is a good first step in collecting data, but those data points don’t make the device a must-have for consumers. Where science is heading next with wearables is in preventing injury, eliminating trips to the doctor, and making them the standard in preventive medicine. Rather than simply provide status updates, wearables will track patterns and make predictions about what’s to come. As a doctor, the more informed you are, the faster and more accurately you can find solutions. Making this data accessible and inexpensive for the masses is key to enabling this technology to influence the healthcare they receive. “The data produced by dorsaVi was previously only available in a biomechanics lab, which was out of consideration for the vast majority of people,” Ronchi says. “It was pretty much the exclusive domain of elite athletes and researchers.” The dorsaVi solutions aim to provide lab-quality data at a price that’s accessible to physical therapists, chiropractors, pain specialists, strength and conditioning coaches, ergonomists, and workplace health and safety executives. A wearable device that can make you feel better or even save your life is a much better proposition. But there are lots of use cases looming on the horizon. Imagine being able to know exactly what food you should or shouldn’t eat that day, when to stop or start an exercise, or when you should worry — or not even think about — something that’s going on with your body. As those of us living in the internet age know, certainty is way better than self-diagnosis through WedMD. And that’s where we’re heading with healthcare wearables. Not only can wearables monitor and track real health variables, but they can also improve the speed and efficiency of setting appointments. Fewer labs and less time spent testing theories will improve the diagnosis cycle. I’m a big proponent of managing our time well, and that’s especially important when it comes to our health, where a few weeks of waiting can make a huge difference. Nobody wants to wait three months to see a specialist when he’s sick. When you’re sick, you want immediate answers and an action plan. Bringing this kind of data to the masses can — and will — impact the healthcare system. The best way of explaining what wearables could be for the healthcare system is a “Check Engine” light. Your car alerts you when something undetectable to the eye or ear is happening under the hood. A wearable device is perfectly capable of doing the same thing and empowering you to manage your health. Our bodies tell us when we’re hungry, when we don’t feel well, and when we should stop doing things because they’re causing pain — but they don’t tell us with specificity what the problem is. Being able to get at a root problem is everything in healthcare. At the Consumer Electronics Show in January, multiple brands, even those not in healthcare, showcased their efforts to propel mass adoption of wearables through health. Under Armour, for example, is partnering with Samsung’s Galaxy smartwatch, HOVR Infinite’s running shoe, JBL’s UA True Wireless FLASH headphones, and its MapMyRun app to change the running experience. Seeing how a runner leans on his feet or carries his shoulders can make a huge difference in both his running performance and potentially long-term health issues, preventing visits to chiropractors or orthopedists. Welt debuted its smart belt at CES, clearly aimed at business professionals. Tracking waist size, overeating, and activity, the belt is capable of nudging executives out of their chairs after long periods of time and triggering an alert when excessive calories have been consumed. Taken as isolated incidents, those things aren’t so bad. But a smart belt constantly analyzing a busy person’s activities can make travel or packed meeting schedules less harmful to a leader’s health. 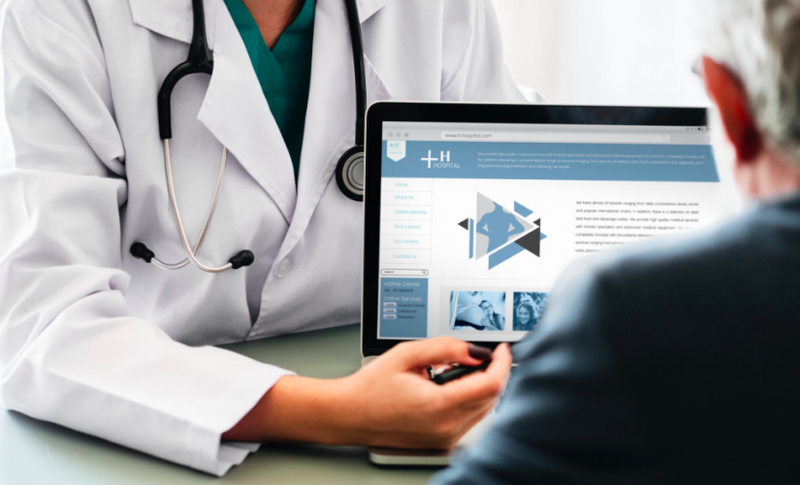 While some businesses have used technology to make nice-to-haves more accessible, I’m predicting that healthcare will push must-haves to the top of its tech stack. And that’s how, with the power of true and relevant health data, wearable technology will go from being the Motorola Razr of healthcare to being its iPhone.